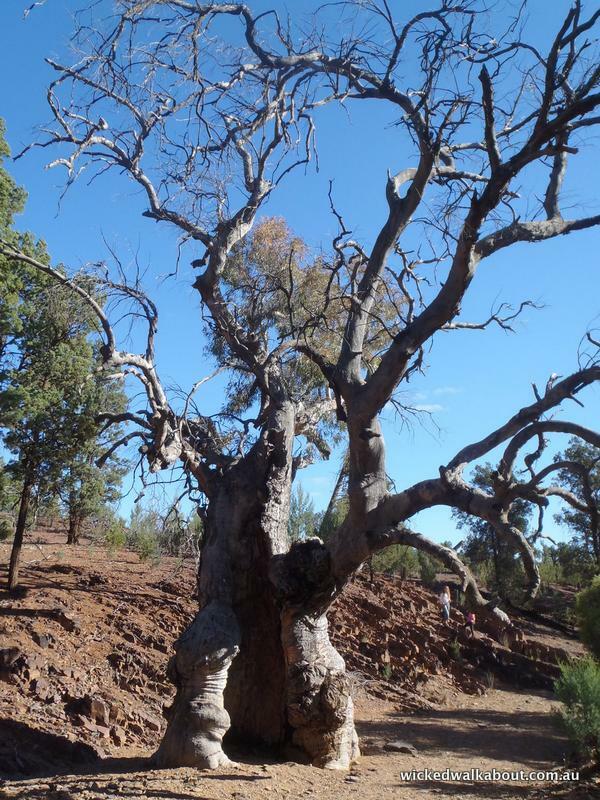 Wilpena Pound, Flinders Ranges, is a fascinating place. 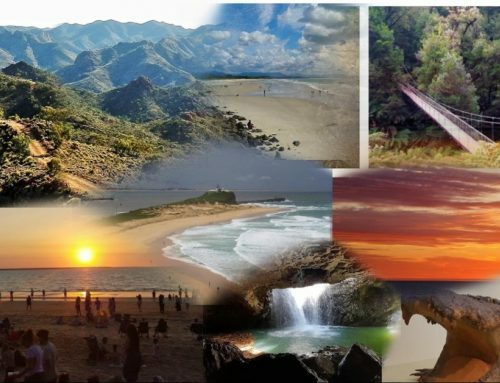 Millions of years of erosion have created a natural amphitheatre, surrounded by majestic mountain ranges. Famous Australian Artist, Hans Heysen, quoted: “the bones of the earth laid bare”. It provides insight through exposure – layers, colours, vastness – an almost intimidating reminder that we are only on this earth for a short time. 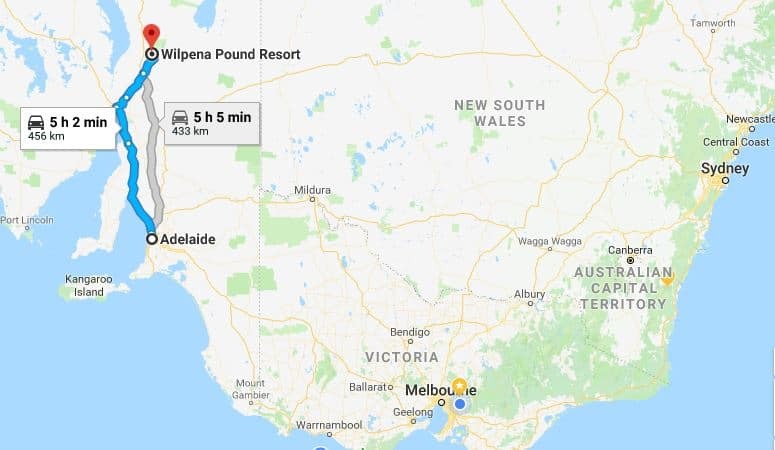 The drive to Wilpena Pound from Adelaide can be done via two routes that take about the same length of time and only vary by 33 kms. 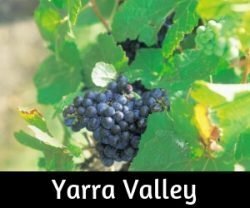 Heading north through Port Augusta takes 5 hours 2 mins / 456 kms or wandering up via the famous Barossa Valley takes 5 hours 5 mins / 433 kms. 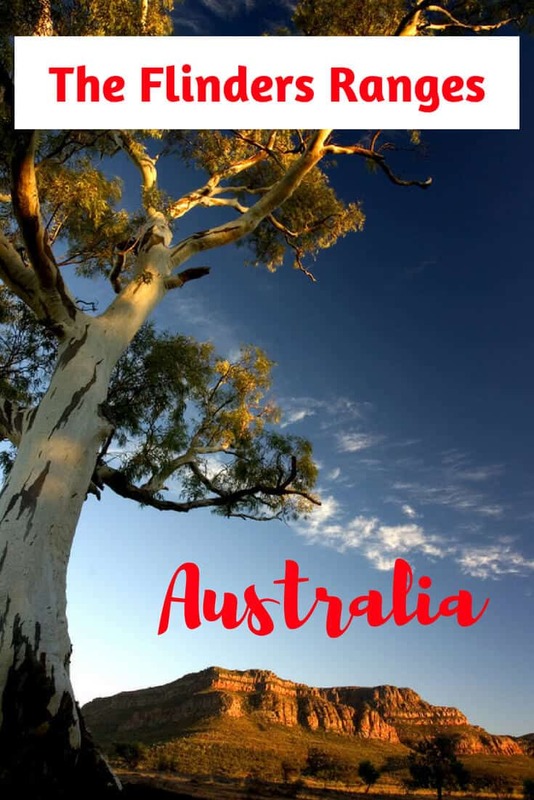 Visitors to the Flinders Ranges from Melbourne have a couple of options too. 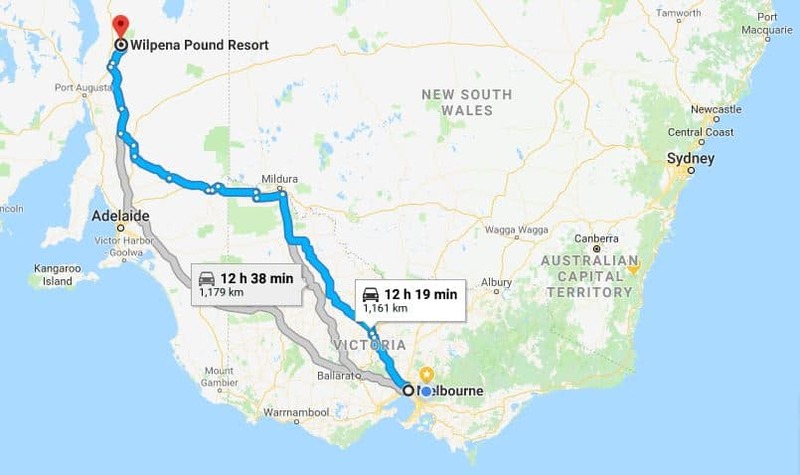 Driving via Ballarat and the outskirts of Adelaide takes 12 hours 38 mins / 1,179 kms or via Mildura takes 12 hours 19 mins / 1,161 kms. 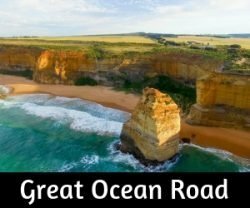 A return self-drive tour from Sydney to Wilpena Pound would provide a round trip that takes in some awesome scenery. 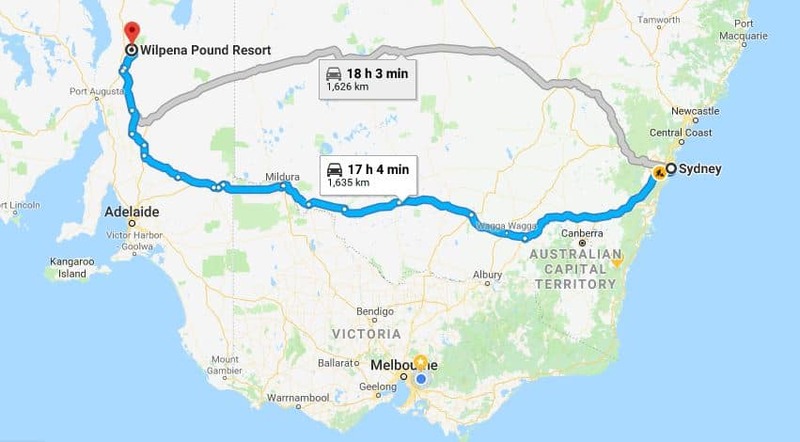 Driving via Wagga Wagga, the Murray River and Mildura takes 17 hours 4 mins / 1,165 kms or via Cobar and Broken Hill takes 18 hours 3 mins / 1,626 kms. 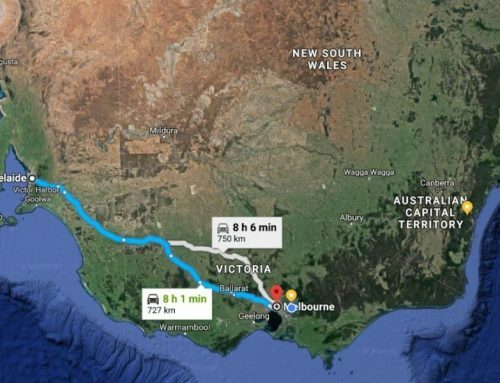 This would certainly be quite an epic drive to the Flinders Ranges and could incorporate a tour south through Victoria and along the coast too. 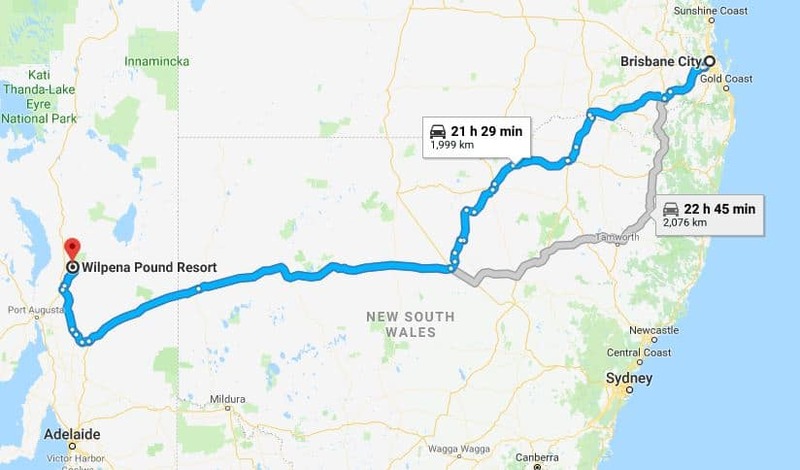 Brisbane to the Flinders via Moree and Broken Hill takes 21 hours 29 mins / 1,999 kms or via Tamworth to Nyngan and Broken Hill takes 22 hours 45 mins / 2,076 kms. The Resort offers motel style rooms with a restaurant, bar and swimming pool. 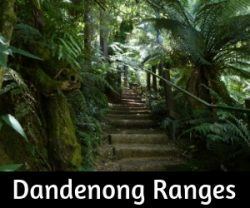 It has easy access to walking trails. 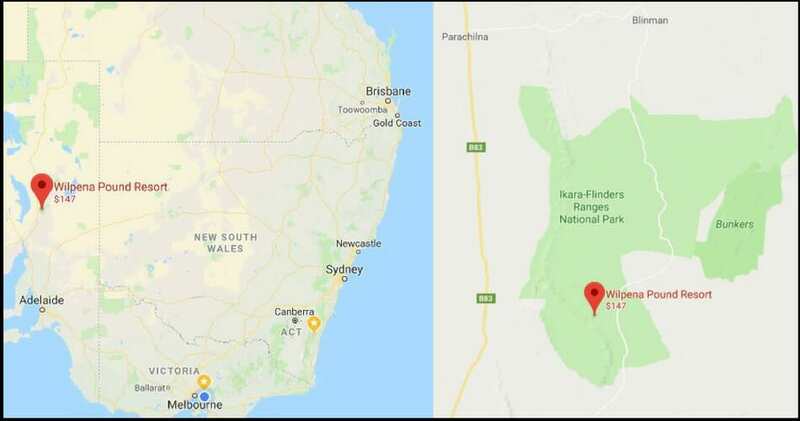 Two other options in the area include The Prairie Hotel near Parachilna in the northern ranges and Edeowie Station to the west of the ranges. Former shearers quarters and a holiday house can be rented for groups. 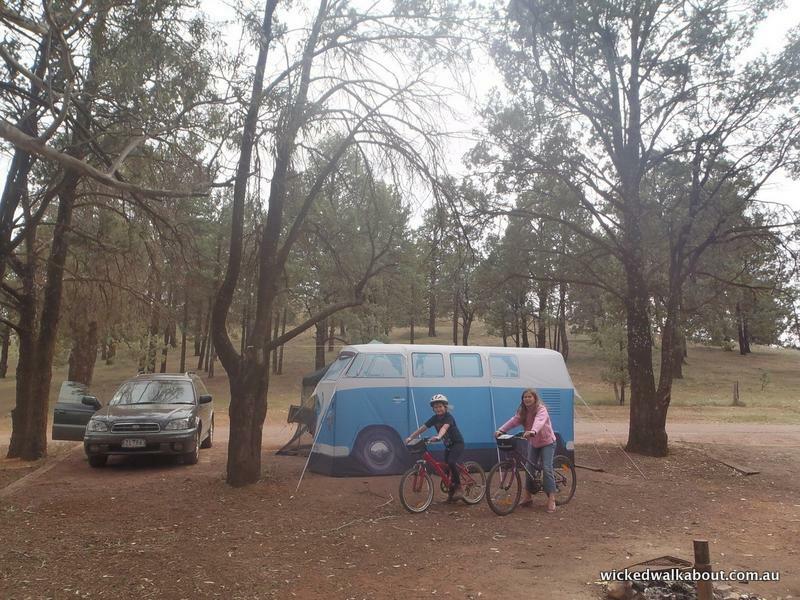 We camped with our Kombi tent in the camping area at the Wilpena Pound Resort. 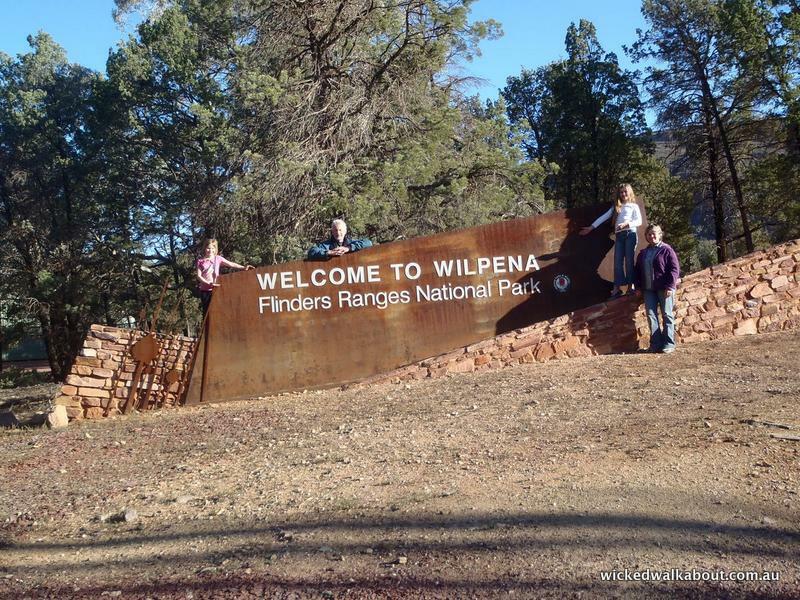 A great spot for the kids to ride bikes and explore a little, plus easy walking access into Wilpena Pound itself. Just outside the National Park boundary, Rawnsley offers camping and cabin accommodation. Nearby Windana Cottages offers a great alternative place to stay. 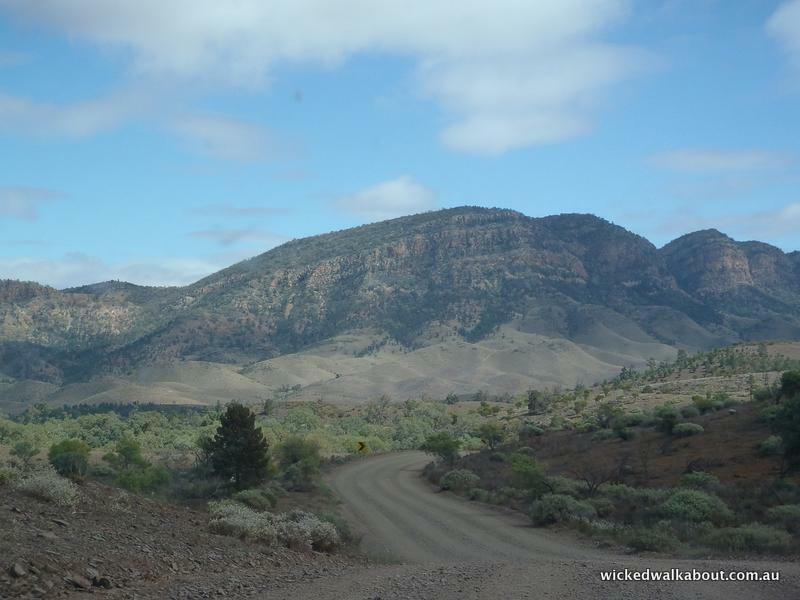 It is possible to free camp in many spots in the Flinders Ranges, some campsites are well off the beaten track and can be found using the WikiCampsAU app. It costs under $10 to purchase on Google or Apple and is well worth the money. Glamping – staying in an upmarket tent with added luxuries! 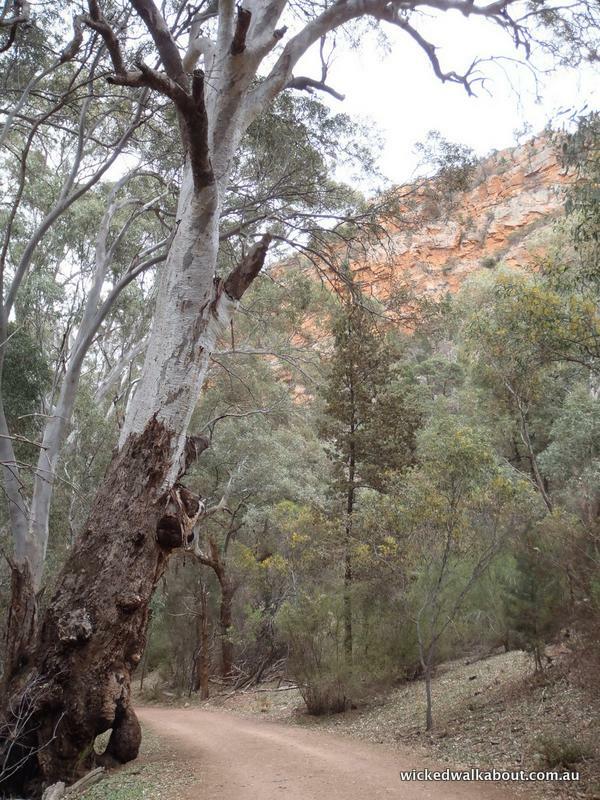 Two rather awesome options exist for anyone wishing to glamp in the Flinders Ranges. If you are looking to get away from all the stresses of everyday life, get back to nature and experience Glamping. Accommodating 2 people, our Deluxe Eco Tent is a steel framed, insulated canvas tent with eco decking floor. A queen size bed including linen, a small kitchenette and quality outdoor furniture is provided. Complete with an attached ensuite with solar hot water – no dash to a shared bathroom block in the middle of the night! Our Eco Tent is designed with minimal environmental impact creating the perfect nature-based experience. Our 2 person Ikara safari tents are suitable for singles or couples wanting a luxury ‘glamping’ getaway. Each tent has a modern ensuite bathroom, a luxe King bed, reverse cycle air conditioning and it’s own private deck and fire pit. Our two family safari tents sleep up to 4 people and have all the luxuries of the couples tents, with an annexe added for the extra people. 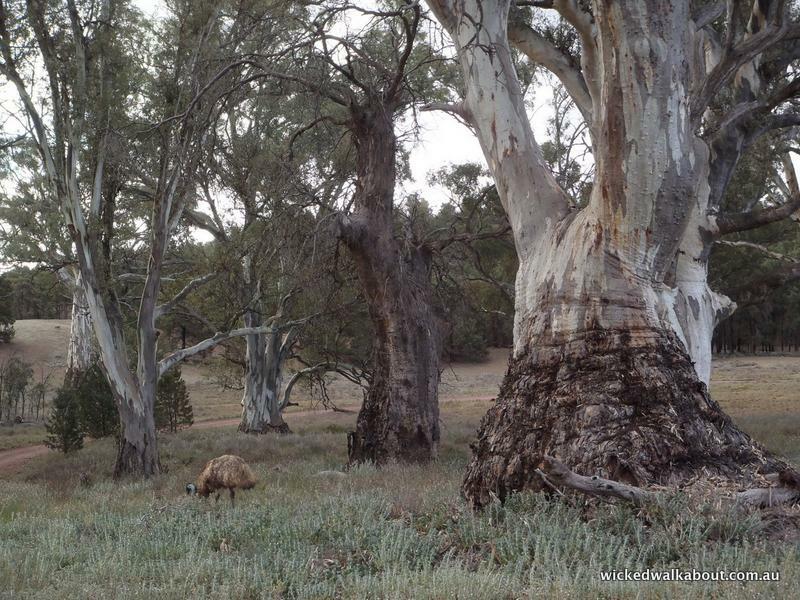 Wilpena Pound Resort Restaurant – Kangaroos graze happily on the luck green lawns, showing little fear of people nearby. It was 40 degrees the day we arrived at Wilpena Pound, overnight the winds blew and the temperature dropped to a more pleasant level… the pool was very cold even on the hottest day as it is only early in the Spring time. The girls did brave the cold waters, for a short time frame! 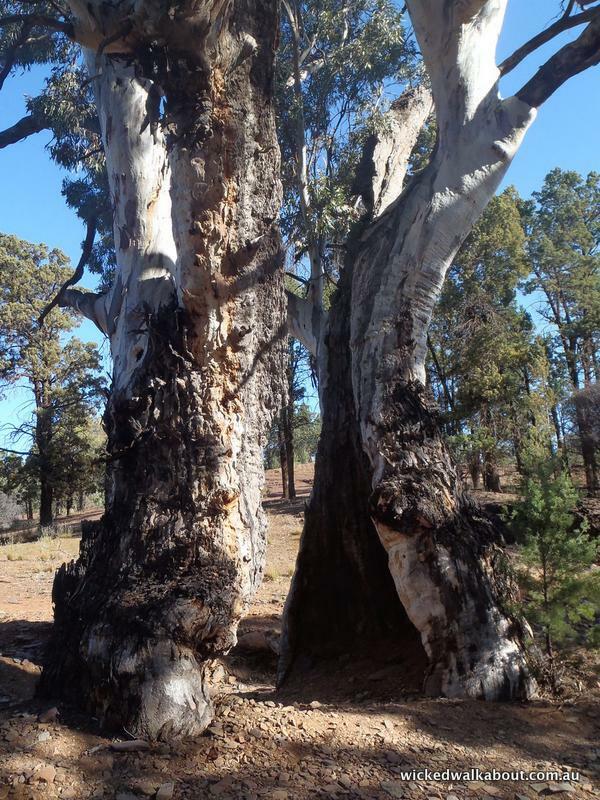 In the Wilpena Campground, this old tree was large enough to house a whole family! 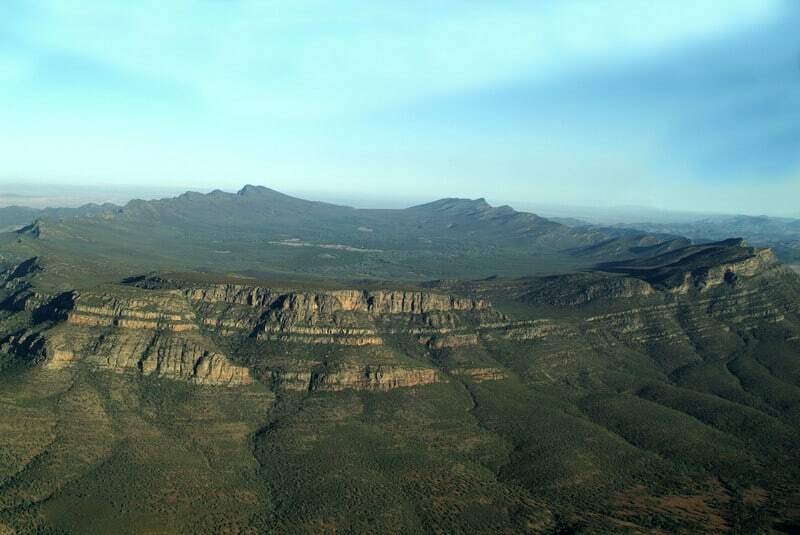 Wilpena Pound is a natural amphitheatre 17km long and 7km wide shaped by the weathering and uplifting of land over millions of years. 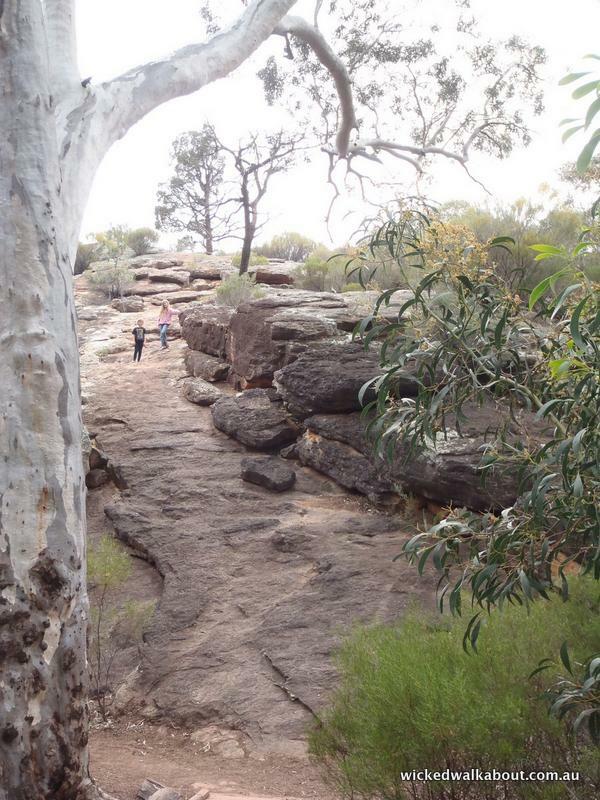 Known as Ikara by the local Adnyamathana people, it is a significant place of many sacred Aboriginal rituals, and their Dreamtime stories tell of the creation by huge serpents. From the early indigenous history to the stories of the first European farmers to the region, this region has a diverse and inspiring history. 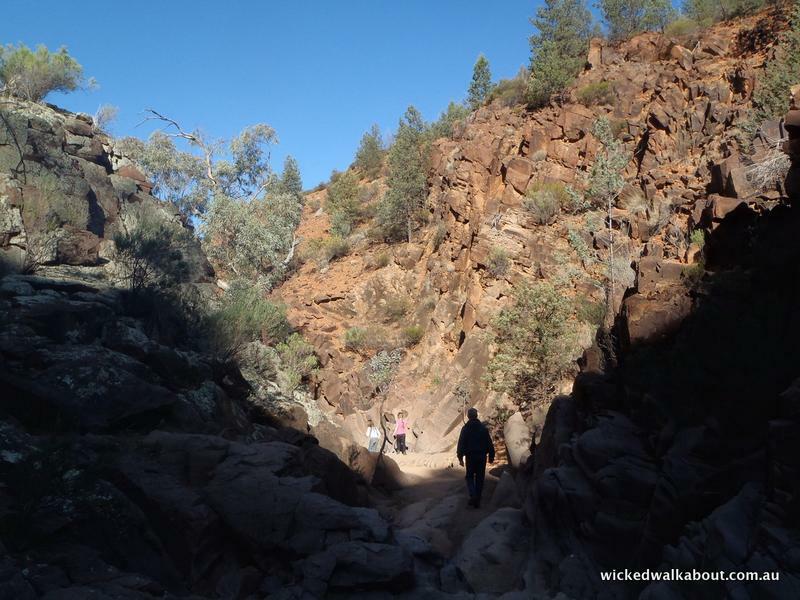 The walk into Wilpena Pound is moderate and takes about an hour each way from the resort grounds. The walk follows along Wilpena Creek into Wilpena Pound There is a hike up to Wangarra Hill lookout with panoramic views of Wilpena Pound. 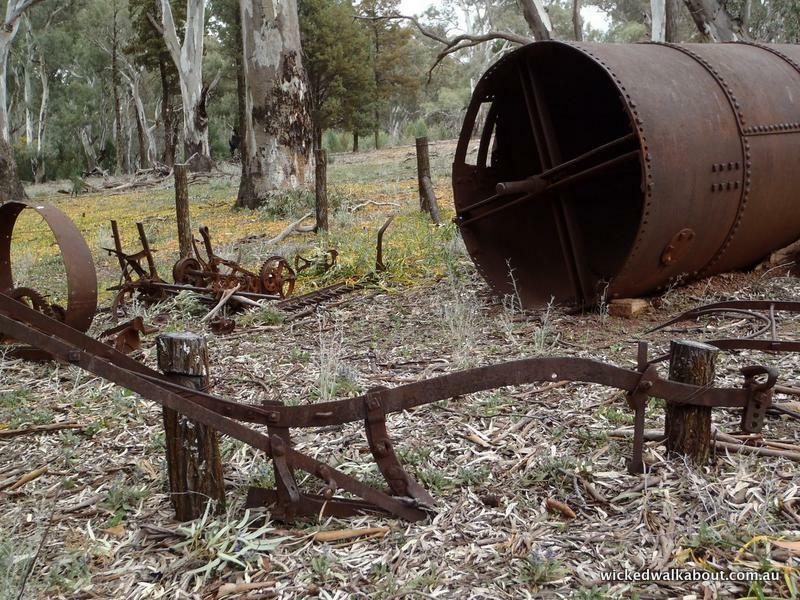 Relics of a bygone era when early European settlers farmed the area. Wangarra Hill lookout, inside Wilpena Pound. Following the trail back towards the Resort Campsite, plenty of rock scrambling just off the trail to keep kids amused. Driving north from the resort towards Parachilna Gorge. 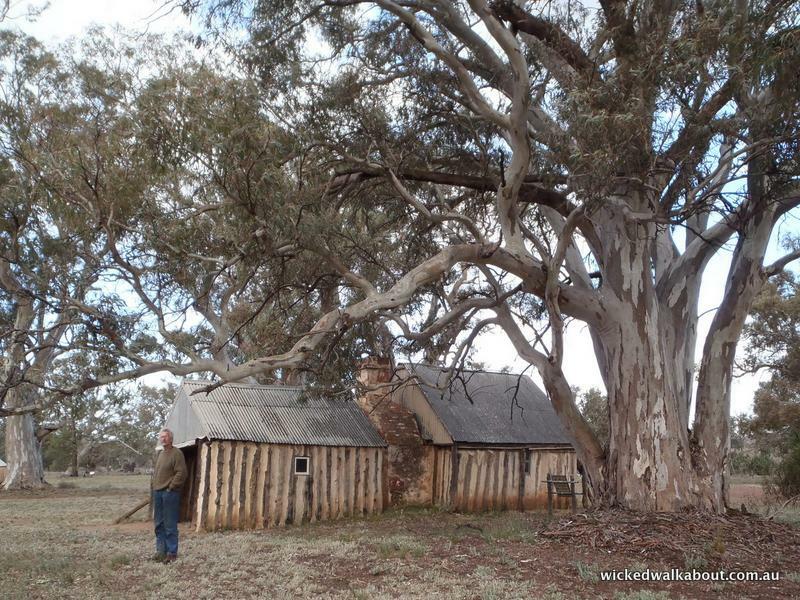 Old Wilpena Station (PDF download available) one of the most spectacular pastoral settlements in South Australia. It was a working station for 135 years before ceasing operations in 1985 and is now a place to learn about our pastoral history. It is also an important Aboriginal heritage site and the setting of Ikara – The Meeting Place, an interpretive display providing an insight into the Adnyamathanha way of life. Emus now feed on the land surrounding Wilpena Station. Kanyaka Homestead Ruins, north of Quorn. 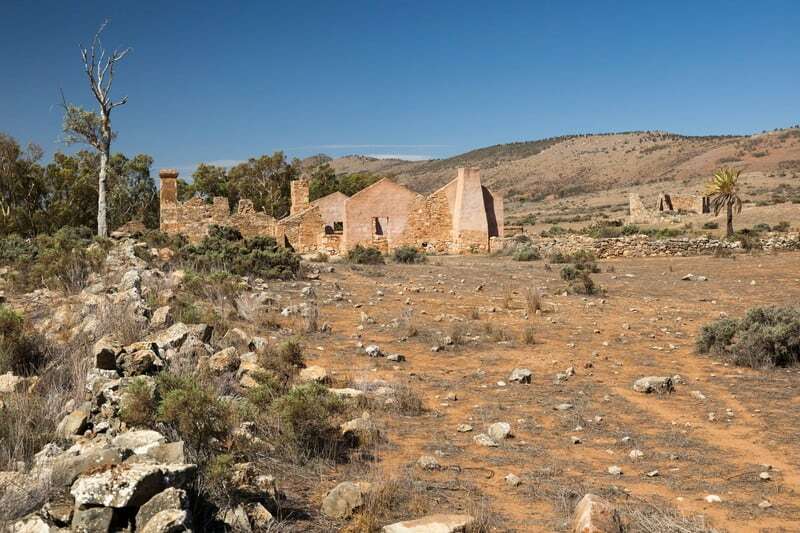 Established in 1852, Kanyaka was one of the largest cattle and sheep stations in South Australia and at one time 70 families lived and worked on the property. Drought finally brought about the demise of the station and it was abandoned. One of the most famous outback tracks in Australia. 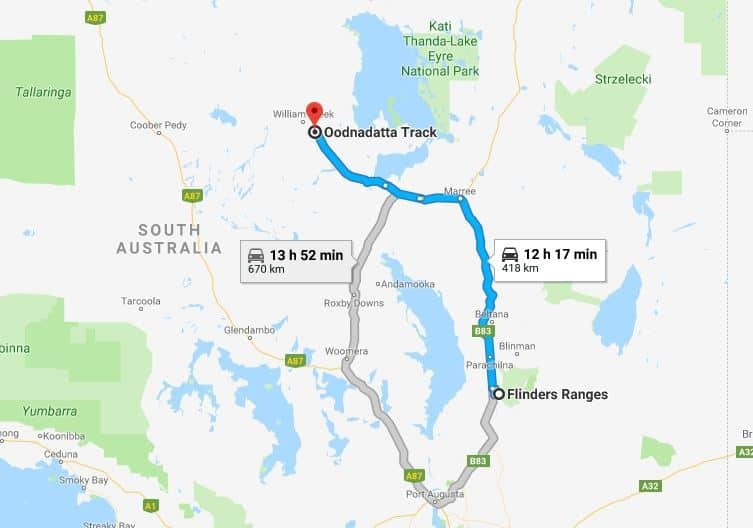 The Oodnadatta Track can be reached via the Flinders Ranges. Read a complete guide to the track by local experts, Gary and Amanda. Stunning place! 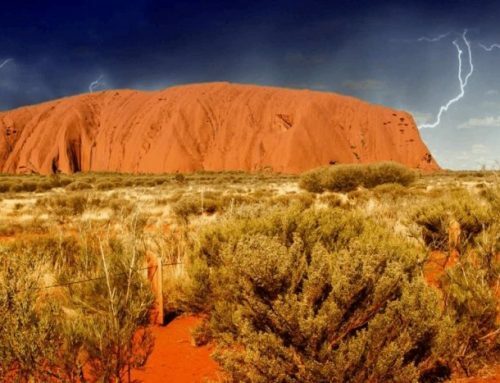 We haven’t been to Australia yet but your pictures definitely make me want to visit it! if you like photography, you should check out our Travel Photography Competition. I will send you a link on Twitter. Take care! Thanks for the Twitter link, I shall check it out! 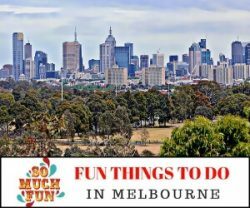 Do make sure to have Australia on your list of ‘to do’s sometime!..Hooroo!